People normally associate flying in space with excitement — launches, re-entry, spacewalks, avoiding asteroids, and fighting off invading aliens. Thankfully, during my more than seven months on the International Space Station, I never had to deal with aliens or incoming asteroids. I definitely had my fair share of excitement, but beyond that, there were actually some very relaxing times. First and foremost was spending time in the Cupola, a seven-windowed observation module. I had the honor of installing it on my first spaceflight in 2010. The Cupola has since become every astronaut’s favorite place in space. And because it has seven windows, you feel like you are surrounded by space. Six of the windows wrap around you, and the biggest one is above you, looking “up” at Earth (the Cupola is on the “bottom” of the Space Station, so when you look up you see Earth). I spent as much of my limited spare time as possible in this module, in part to help film the IMAX movie “A Beautiful Planet,” in part to take photos for social media and my book, “View From Above,” and in part just to relax and enjoy a front-row seat to creation. It really was a view like no other! Even though the images of Earth from space are great, and the video, especially in IMAX format, is stunning, there is just nothing that compares to seeing it in person. 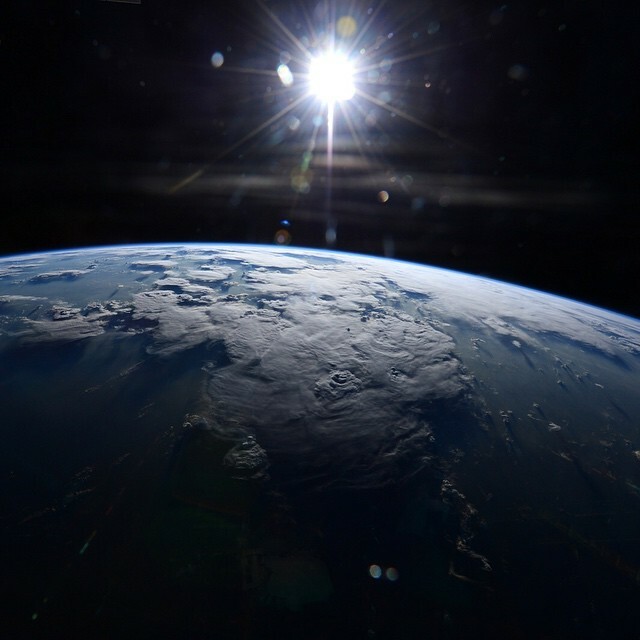 For me, seeing Earth from space was an emotional experience, it’s truly awe-inspiring. Even after 200 days, the experience never got old, I continued to look out the window with feelings of joy and inspiration, and I often thought to myself, wow, I can’t believe I’m seeing this. There were so many incredible things to see — our planet in daylight, cities at night, aurora, sunrises and moonsets, our galaxy with its billions of stars. But one of the best, and most relaxing things to do was to watch thunderstorms, especially over Africa, but also South America and the South Pacific. The size of those storms was impressive, reaching hundreds of miles long. And the number of flashes was just mind-boggling — I would see tens of flashes per second. Storms always fascinate me on Earth, but to see them from space was both incredible and unanticipated. I never expected to see such a display of light and power. A few times, when we had a night pass over Africa, I brought my portable Bluetooth speaker and iPad down to the Cupola. I turned out all of the lights to make it dark inside and waited. You can see a storm as it approaches, maybe 1,000 miles away you can start to see the flashes. And as we got closer I’d play Enya’s “Storms in Africa” and just float, letting go of the handrails on the Cupola’s walls, not touching anything. As the storms got closer I could see the cloud structure in each flash, some reaching up in the sky and pointy, some flat and spread out, others round, and many having scalloped tops (like a many-layered upside-down wedding cake). It was an extraordinary experience perfectly paired with Enya’s haunting music. I could get my thesaurus out to try to come up with adjectives to describe this, but it just wouldn’t do it justice. Take my word, if you ever have a chance to fly in space, this should be on your to-do list. It’s one of the most calming and relaxing things I’ve ever done and it has left me in reverence for our astonishing planet. For me, music was an important part of relaxing while in space, especially at bedtime. Sleep in space was absolutely wonderful. I would crawl completely into my sleeping bag, head and arms and hands and everything inside, zipped up. And float. I wouldn’t be velcroed or clipped to the wall, I’d just free-float. With my Bose headsets on, listening to music. My personal favorite was Hans Zimmer’s “Interstellar” soundtrack; I drifted off to sleep for about a month listening to that every night (at that time I hadn’t been introduced to Sleep Stories yet!). Also, about halfway through my mission, the Russian psychologists sent my Cosmonaut crewmates some “sounds from Earth,” like waves, rain, birds chirping, a busy café at lunchtime, etc. Those sounds quickly became a favorite way for my whole crew to reconnect with Earth; everyone loved them, Americans, Italians, and Russians. I fell asleep to the sound of rain for about a month. These relaxing periods were really critical, both for keeping psychologically decompressed after busy periods of work and also for getting rest. My tendency was (and is back here on Earth) to stay up too late, working well past bedtime. Listening to music was the best way for me to chill and eventually fall asleep. 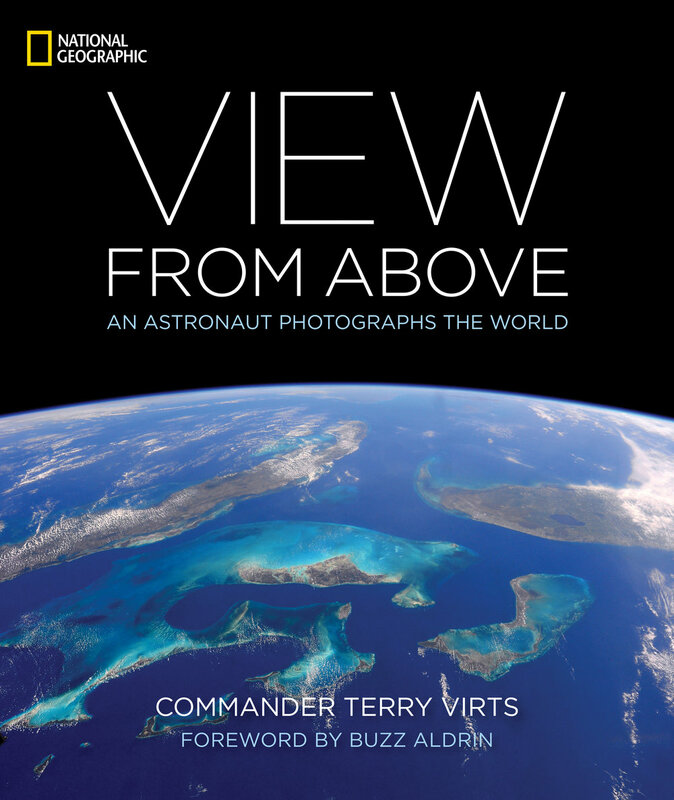 In my latest book, View From Above, I share the astronaut's view of the world, offering stunning aerial views of our planet and the vastness that surrounds it. The colors, shapes, details—and the stories they tell—are endlessly fascinating. I offer glimpses of everyday life in orbit, including candid shots of fellow astronauts Scott Kelly and Samantha Cristoforetti. Amid this amazing show of Earth spectacles, I reflect upon how the astronaut's point of view has shaped my life and spirit. Enjoy photographs that will astonish and inspire a new way of looking at the world. Check out an excerpt from my book, A View From Above, in Calm's Sleep Stories Collection. Terry Virts is a NASA astronaut and distinguished space photographer who spent more than seven months in space. He's passionate about sharing his astonishing aerial images of Earth, along with captivating tales of life at the edge of the atmosphere. Learn more about Terry on his website, or check out an excerpt from his book, “View From Above” in Calm's Sleep Stories Collection.